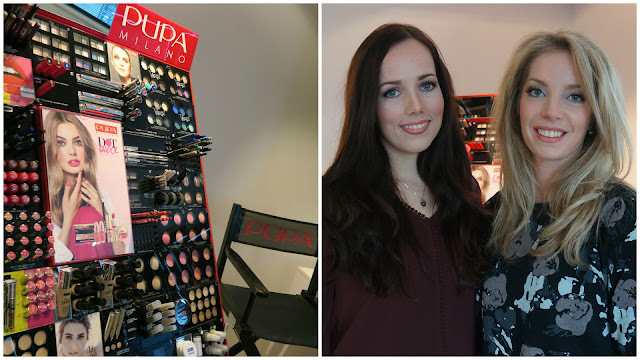 Back in December I was one of three lucky ladies to win a make-over by beauty brand Pupa Milano. Owner of the Miss Netherlands Organization Kim Kötter hosted a giveaway on her Facebook page which I entered and ta-da! My name was one of the cheerful chosen ones. While I'd heard a lot about Pupa, I had never actually tried any of their products before. Simply because they're not being sold in your everyday drugstore. But I was definitely interested in learning more about their products and creating a whole new look. May the wings of your eyeliner always be even! My right eye was already done by a pro. So guess what it was like trying to get my eyes even, haha! Last Friday was the day of the Miss-Workshop. Very early in the morning I cycled to the train station #nomakeup and all that, hopped on a train and I was on my way to Dordrecht where I took a bus to the industrial area of the city where the headquarters of Pupa Milano Netherlands are situated. It took me 2 hours and 45 minutes, which was a pretty long journey compared to the size of the Netherlands (let alone the distance I had to travel). And of course my train was delayed which caused me to arrive 30 minutes later. Bummer! If there is anything I dislike, it's being late at an appointment. Luckily during my long train ride I had a Classic Chai Tea latte from Starbucks, Ellie Gouldings Delirium and #Girlboss to keep me company. Upon arriving I was welcomed by two lovely girls at the front desk and one of them brought me upstairs to where the workshop was taking place. The other workshop winners were already there and after a short introduction by make-up artist Fanny and a conversation with the other attendees, we started right off! I took a lot of photos. Wait, let me rephrase that. WE took a lot of photos. As it turned out, I wasn't the only one taking pictures during the day. 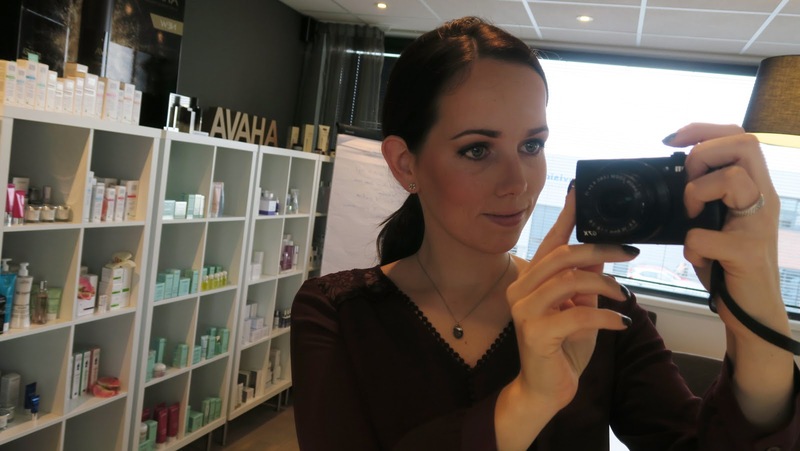 One of the employees at Care Cosmetics, Rebecca, came in with a camera (and the most gorgeous red lips!) and she started taking photos of everything that was going on in the room. Her colleague send me the photographs and in this post I chose a combination of the ones she took and the pictures taken with my own camera.In the beginning of the day it crossed my mind how cool it would be to have before and after photos. But I only thought of this when I had already put on primer + foundation. Just so you know when you look at the next before and after photos. It's not an entirely fair before, haha. Next to taking photographs I also made notes in the training manual for advanced (oh yeah) on everything that Fanny told us #informationoverload. I wrote down all the product names and the number of the correct shades. Also made a lot of notes about the proper way to apply make-up, what brushes to use, how to fill up your eyebrows, what colors match your skin and much more. It was kindof addicting to hear so many cool things about beauty products. Especially tips and tricks that were completely new to me but are easy to apply when doing make-up in the morning in your own home. For example she taught me what kind of face shape I have, the shape of my eyes and the colors of my skin tone. The colors in the eyeshadow collection are really beautiful compared to some of the drugstore eye make-up I own. I think it is because the colors are exactly the same on your eyelid as they are in the pans. The high pigmentation makes it easy to build up on your eye look without having to use a lot of product. Numbers 204 and 205 are now super high on my make-up wishlist! The purple stands on the exact opposite of the color green which is my eye color. Fun fact: apparently the word Pupa means 'Little Doll' which is what the Italian founder of Pupa called his own daughter when he made her a make-up kit back in the day. I have an oval shaped lower part, whereas my forehead is more rectangular. To create the ideal face shape, which is said to be oval, one needs to learn the basics of contouring! Dark, matte make-up shades recede, while lighter, shinier colors bring features forward. I've never been too fond of my larger forehead but over the last years I've come to grown and love this interesting feature in my face. But hearing there is nothing make-up can't fix, had me prick my ears up. Fanny told me this: "When you blend your matte contour shade along the hairline of your forehead in a shade darker than your foundation, it will create the impression of a smaller forehead. It's extremely important to blend thoroughly so your make-up looks natural." She also told me about the shape of my eyes. A persons eyes are never exactly the same. Once you determine your eye shape you can start applying make-up to enhance your shape and even try to make your eyes look more similar. I have upturned and deep set eyes. This means that I have a natural lift in the outer corner. Also my eye color is green with a dark grey circle around the iris. To accentuate the green in my eyes, I could work with a lot of purple colors which is what we did. It was fun to hear that Fanny actually has similar shaped eyes so she know really well how to make this eye shape really stand out! Did you know that Pupa Milano is a brand a lot of make-up artists use? Eva Jinek is also a big fan of Pupa! She always wears Pupa on her shows. The best part of the day was when Fanny announced we got to pick 5 products from the entire Pupa make-up collection to take home with us. I seriously didn't know what to choose. Everything Fanny had advised and used on my skin was so good. The pigmentation, the colors... I honestly didn't know what to choose so I started going through my notes of the day and I figured that I should go for the products I absolutely loved! Eventually I went for a primer, foundation, eyebrow cream, bronzer and blush. And I have been wearing these products every day over the last week! I will review these products somewhere over the coming weeks but I'm going to try the products out for a few weeks first. It was packed in the cutest red bag which I proudly carried around on the bus, on the train and on my bicycle until I was home. All in all this day was awesome! Not only did I learn a lot of new things about applying make-up, my face-shape, eyebrows, eye-shape and contouring. I also experienced this day to be a lot of fun! First of all, Fanny is an extremely talented make-up artist. Next to that she was really sweet and gentle. The other two workshop winners were also friendly and so were the ladies who took photographs, brought us lunch and prepared our Pupa giftbags! And obviously it was really cool when Kim Kötter surprised us with a visit! Such a lovely group to be around for the day. Thanks ladies for making this day great. It was super cool when Kim walked through the door unannounced! She looks absolutely amazing pregnant and is very down to earth and sweet. Happy faces late in the afternoon. Not just because everybody looked absolutely stunning but also because of what was given to us. Nobody went home before these cute little red bags by Pupa were given to each and everyone of us. Filled up with the products of our choosing. It even included an official make-up workshop certificate. How cool is that? I might just hang it above my bed. And Fanny used a lip pencil on me that apparently is no longer in the collection and she was kind enough to gift me the one she used on me which was practically a new one. So sweet! 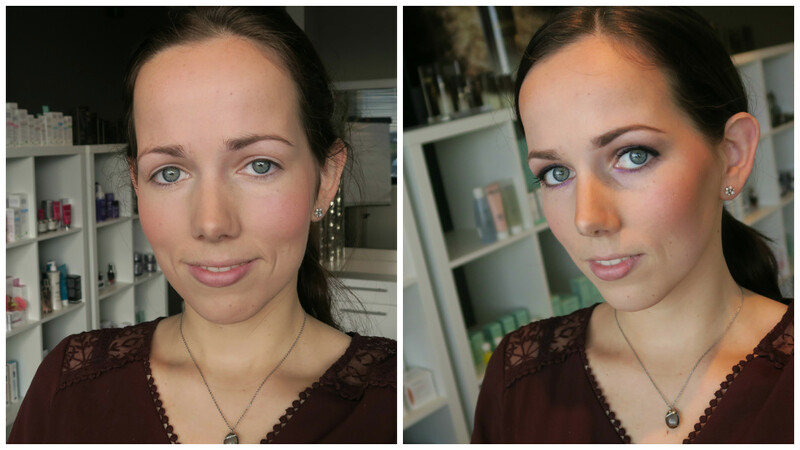 Be sure to keep an eye out for my post about the Pupa make-up that I took home with me. And Pupa Milano, thank you for having me and see you next time!